It’s been a truly amazing adventure to be part of Guild Festival Theatre’s production of Romeo and Juliet this summer. 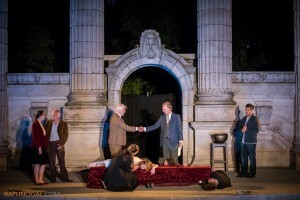 The Guild Team have carried on late founder Sten Eirik’s incredible vision to bring Romeo and Juliet to the Greek stage in Guildwood park and each and every show is dedicated to him. The team listed below has made this show one to remember. To read what reviewers have said about the show click the links below!